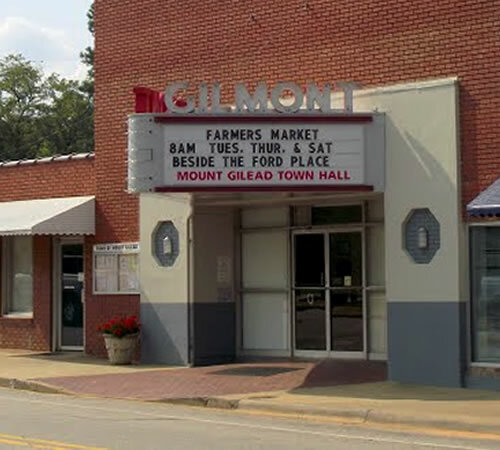 Mount Gilead, NC is a charming small town located between Charlotte and Greensboro at the foot of the Uwharrie Mountains, the oldest mountain range in North America. Our citizens enjoy a quiet peaceful way of life without the hustle and bustle of a larger city and with Mother Nature at your front door. 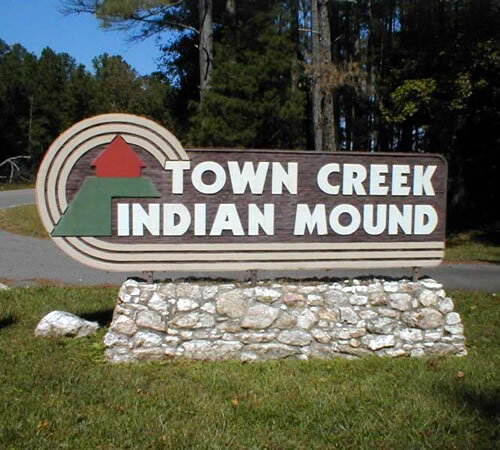 Town Creek Indian Mound is an unusual phenomenon in the history of North American archaeology. Most archaeological sites are investigated for a few years and then… archaeologists move on to new locations. Where long-range research has been conducted, it has often been under several directors and different plans of research. Town Creek, situated on Little River. (a tributary of the Great Pee Dee in central North Carolina). Learn more . . . Downtown Mount Gilead. Most buildings in town were built late-nineteenth and early-twentieth century. Mount Gilead had an abundance of timber, clay, stone, and slate to provide for any sort of construction that was needed or desired by owners and builders. Several structures incorporate local sandstone used in door and window sills and lintels. 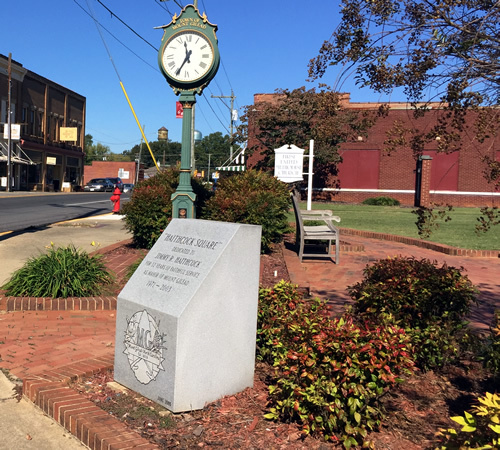 The Mount Gilead Downtown Historic District was added to the National Register of Historic Places in 2005. The building housing the theatre was originally built by L.P. Byrd as Moore’s Livery. In 1934 it was altered for use as a motion picture theatre. It burned in the late-1930’s and was rebuilt as the Gilmont Theatre and lasted until 1954. It was renovated in 1955 to become the Town Hall. The theatre seated 290 and was operated by Everett Enterprises until closing. Today it is still being used as the Town Hall. The Mount Gilead Downtown Historic District was added to the National Register of Historic Places in 2005.